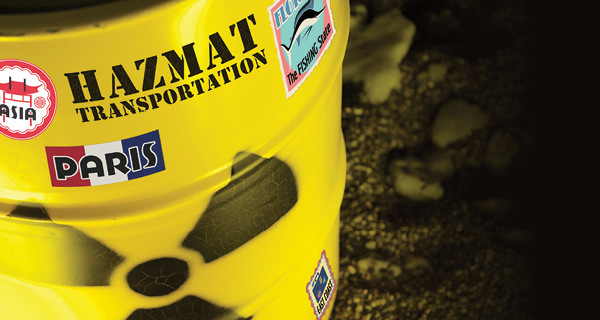 When moving hazardous materials, shippers can't just send them packing. From preparing for compliance to keeping employees in the loop, here's how shippers plan for risk-free travels. Seemingly overnight, even a product that has been used in numerous devices for decades can be considered a hazardous material. Take lithium-ion batteries, for example. In February 2016, the International Civil Aviation Organization (ICAO) announced a new safety measure prohibiting, on an interim basis, all shipments of lithium-ion batteries as cargo on passenger aircraft. Lithium-ion batteries made the news again in September 2016, when the Federal Aviation Administration advised airline passengers not to turn on, charge, or even stow in their suitcases any Samsung Galaxy Note 7 devices. This followed reports of the phones' lithium-ion batteries igniting. ICAO develops international civil aviation standards and recommended practices. The announcements show how quickly a product can be considered a hazardous material. Once it is, it's subject to additional regulations when being transported. "Shippers need to realize that many items, such as lithium batteries, are considered hazardous materials when offered for transportation," says Bob McClelland, dangerous goods manager with UPS Airlines in Louisville, Ky. "To offer such goods, shippers generally have to be trained and/or educated in the requirements to ship that item." Organizations that want to safely ship or transport hazardous materials need educated employees and effective processes and systems. Failing to act with care and follow applicable regulations can cause injuries and fatalities. It also can ruin a company's bottom line. Penalties for violating the rules can run into hundreds of thousands of dollars. The reputational risk, should a company's habit of skimping on safety measures be found to have contributed to an accident, can be ruinous. The spectrum of materials considered hazardous ranges from radioactive materials to items "consumers might have under their sink at home," says Chris McLoughlin, risk manager at C.H. Robinson, a provider of multimodal transportation services and third-party logistics. Along with the material itself, volume comes into play when calculating just how hazardous a shipment is. Acetone, a primary component of nail polish remover, is a flammable liquid. A small bottle typically can be moved safely. "But 7,000 gallons of acetone in a tank becomes dangerous because of both vapors and flammability," says Glenn Riggs, senior vice president, corporate logistics operations and strategy with logistics solutions provider Odyssey Logistics.